Whether you are looking for repair, replacement or upgrade of your walk-in coolers, we are a one shop stop of all your needs. At Commercial refrigeration Brooklyn, we offer the best repair and maintenance services of Walk-in coolers. From replacing the existing unit to install a new walk-in cooler, our experts will ensure that every detail is addressed, such as heavy duty interior and exterior wall choices of stainless steel, aluminum, and galvanized steel to door type, hardware and accessories. Our expert technicians are proficient in executing task of walk-in coolers servicing and repair in professional way and make sure that walk-in coolers work smoothly and efficiently for a long time. We can repair almost all major brands of walk-in coolers and freezers. For best running of your appliances, we offer maintenance service and also help you in choosing new walk-in coolers that is beneficial for you and your company. With our reliable and incomparable services, we offer affordable repair of walk-in coolers. Whether the defect is minor or major, we ensure to provide smooth services to our customers. We understand that when walk-in cooler fails, the owner seeks best and friendly repair servicing. At Commercial Refrigeration Brooklyn, you will get the best quality service with a friendly hospitality of our technicians. They repair and provide best servicing of walk-in coolers like their own. With specialized equipments and latest knowledge, we guarantee to serve our clients with the best state of art tools used by expert technicians. Next time when your Walk-in Coolers or Freezers ask for a repair or servicing, just contact us. No matter where you reside in Brooklyn New York, we are just a phone call away. 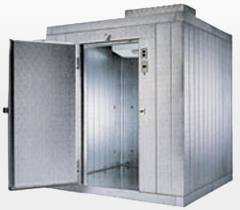 For more effective and reliable services of Walk-in cooler, you can call on given numbers. We offer 24/7 services of all major and minor refrigeration repair in Brooklyn.